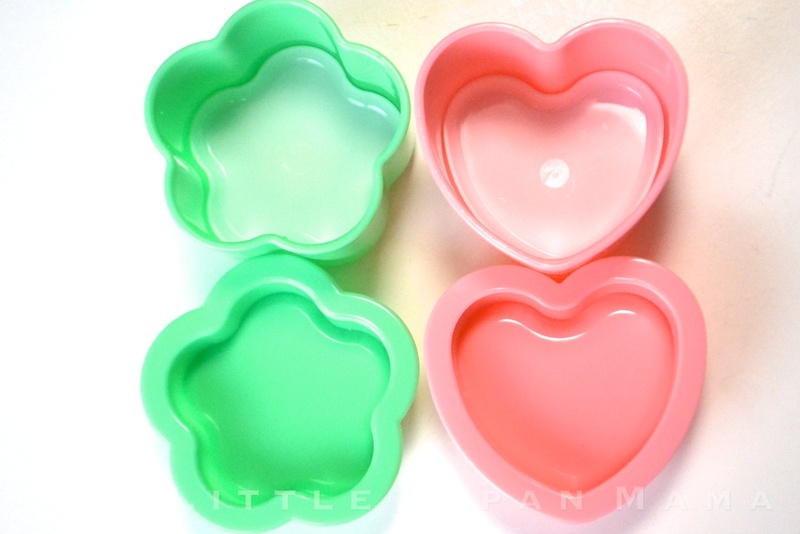 These molds make beautiful Hearts and Flowers with rounded edges and are very easy to use. 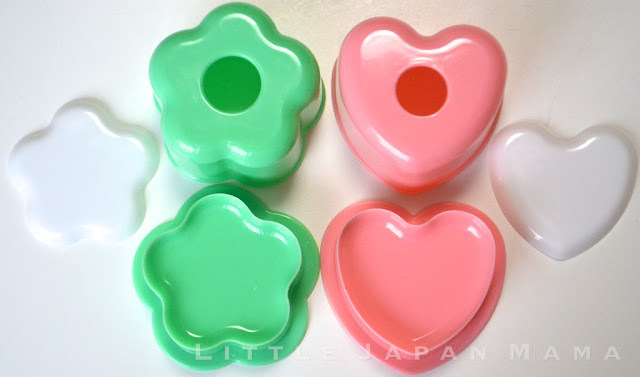 This set features a white backing piece which makes it easy to push the onigiri out. 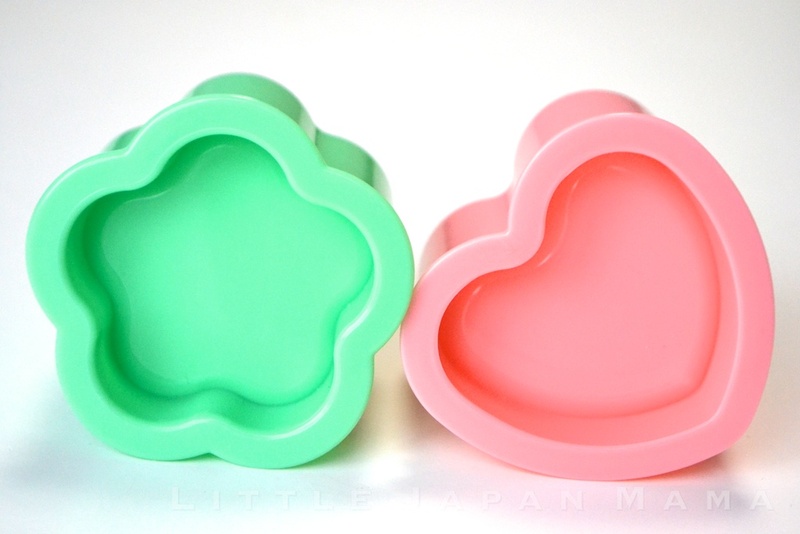 This design also makes it easier to produce perfectly shaped onigiri. Fill the mould to the top with rice. Put the lid on and push down. Remove the lid, tip the mould over and push the white backing to slide the onigiri out. Lift the white backing off the top of the onigiri. Just a little smaller than our other similar set. Produces Onigiri with a thickness/height of 2.7cm. I know there are lots of pics and explanations, but this is still mysterious to me. I think I'll be like a child with a new toy, trying it on when it reaches home!